Today we are going to texture the Bedside Table and produce a nearly photorealistic model that can be presented to a client. 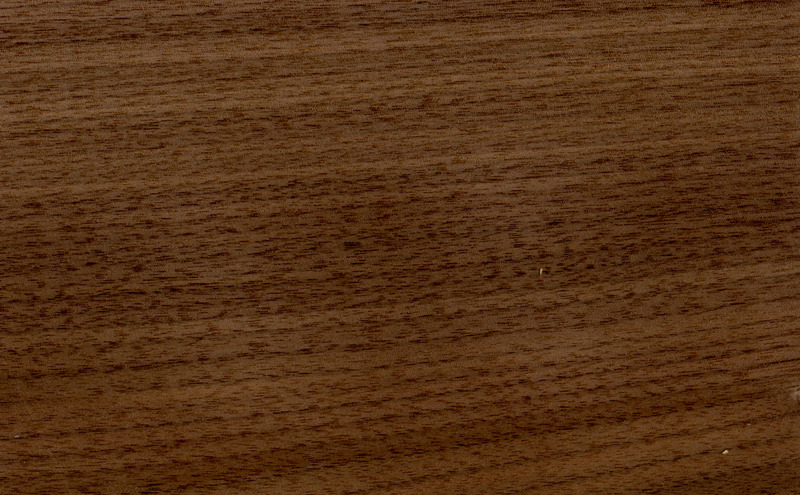 With the help of Photoshop Lightroom I was able to create jpeg files of representative grain for each wood species used in the Bedside Table. I will not describe the steps I performed in Lightroom since that is beyond the scope of this tutorial, but you can use any jpeg file (or many other file formats) as a texture. The quality of the jpeg will determine whether your model looks realistic or not. The trade off is that higher quality requires larger files and bloated models. The choice is yours. In this tutorial I have opted for a reasonably high quality to demonstrate the capabilities of SketchUp. However, rest assured, I am not an expert SketchUp modeler; an expert can do far better than I have here, but I think the objectives of this tutorial will be achieved, as demonstrated by the picture at left (click on the picture to enlarge). As an interesting side story, the picture at left is one of a completed project I built for my wife. 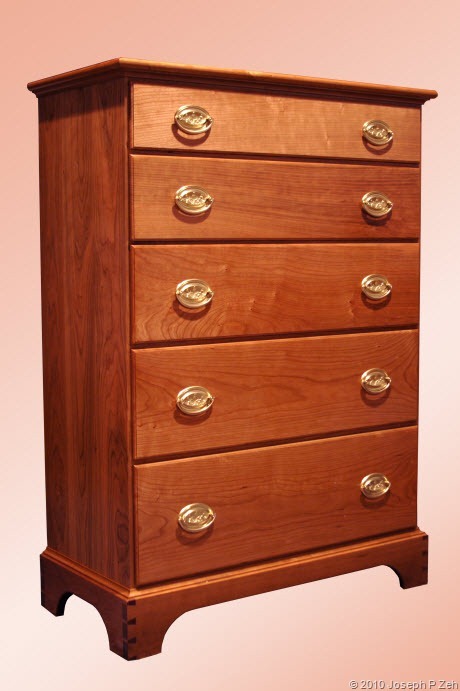 You can see additional shots of this Cherry Chest Of Drawers in my Gallery. 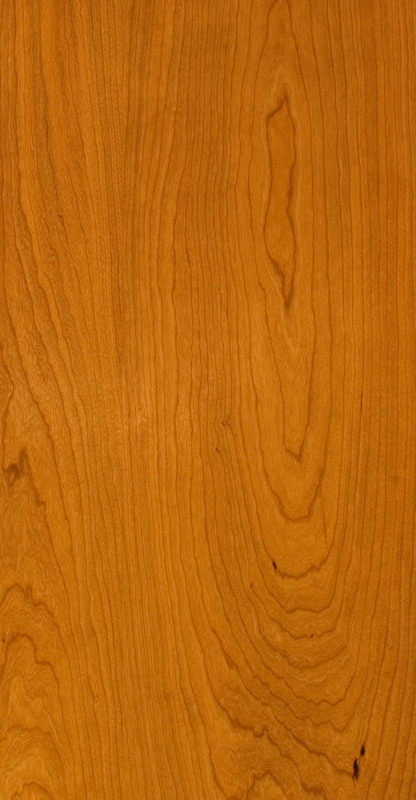 It is from this piece that I took the digital photos of cherry grain to create the textures used in this post. The SketchUp model of this piece is also available on my Free Plans page. One day I was contacted by William Manning, Senior Director, IDX Renditioner, a division of IMSI that makes a plugin for SketchUp. Their plugin greatly enhances the texturing engine. William asked if they could use my SketchUp model of this piece, and some of my pictures, to texture the model and achieve a photorealistic image. 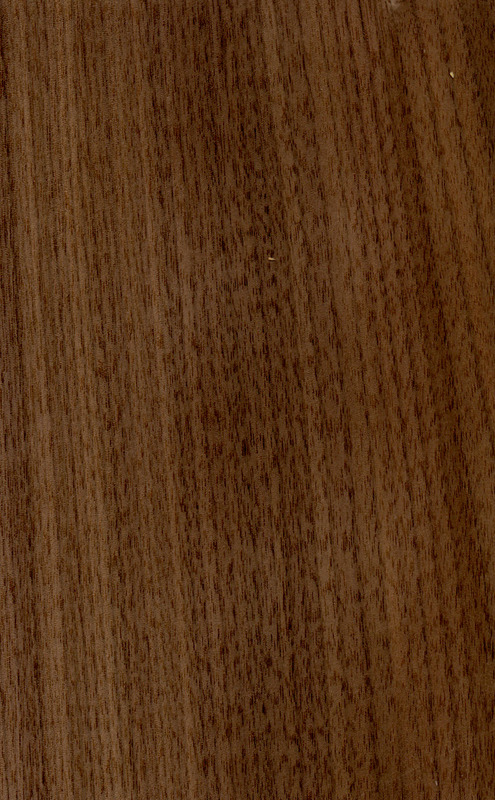 The picture below right is the result (click to enlarge image). Notice the shadows. To see more photorealistic images of this model and other SketchUp model go to the IDX Renditioner Gallery. A completed SketchUp model of the Bedside Table can be downloaded from my website srww.com. Select the Free Plans menu button, scroll down to Tables and locate Bedside Table from the list. It is available both in native SketchUp file format (.skp) and as a PDF file (.pdf). 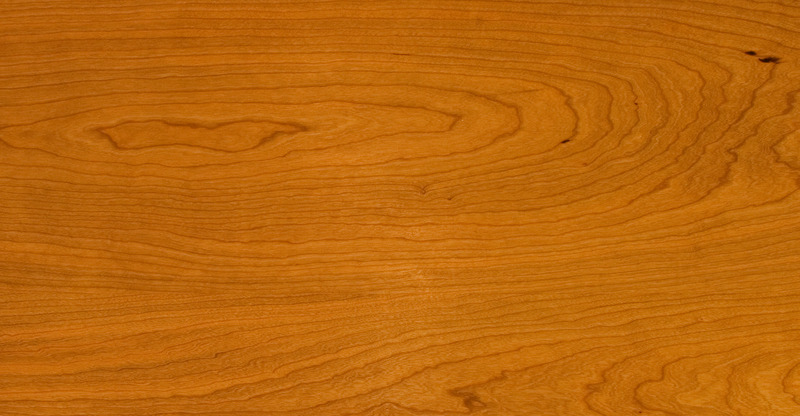 Before you view the video take time to familiarize yourself with its textured components. See you in Beginner’s SketchUp Tutorial, The Video Version–Part 8. To follow along in this tutorial you will need a Ruby script called layers.rb. 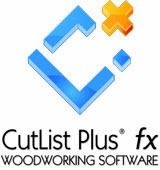 For instructions on how to obtain this script, install it and use it see Layers Management Ruby Script For SketchUp. OK, by now you have seen, and hopefully read, the Six Rules for 3D Modeling in SketchUp at least three times. If not, you might want to review them before proceeding with this tutorial. 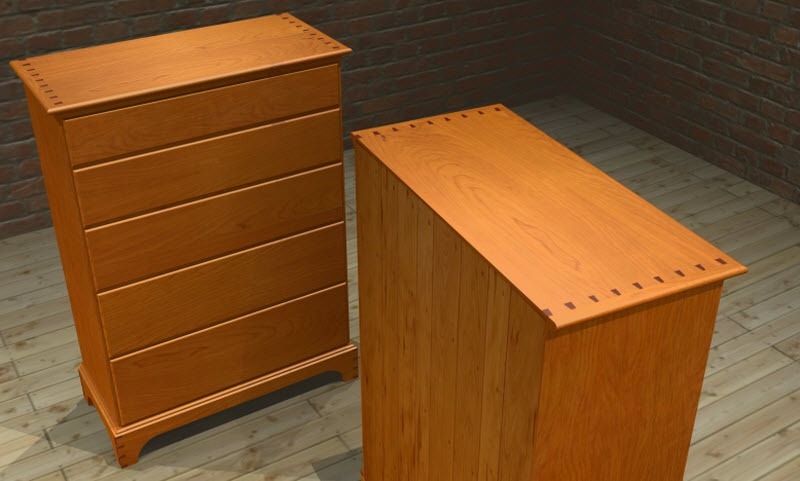 A completed SketchUp model of the Bedside Table can be downloaded from my website srww.com. Select the Free Plans menu button, scroll down to Tables and locate Bedside Table from the list. It is available both in native SketchUp file format (.skp) and as a PDF file (.pdf). Before you view the video take time to familiarize yourself with its design and dimensions. 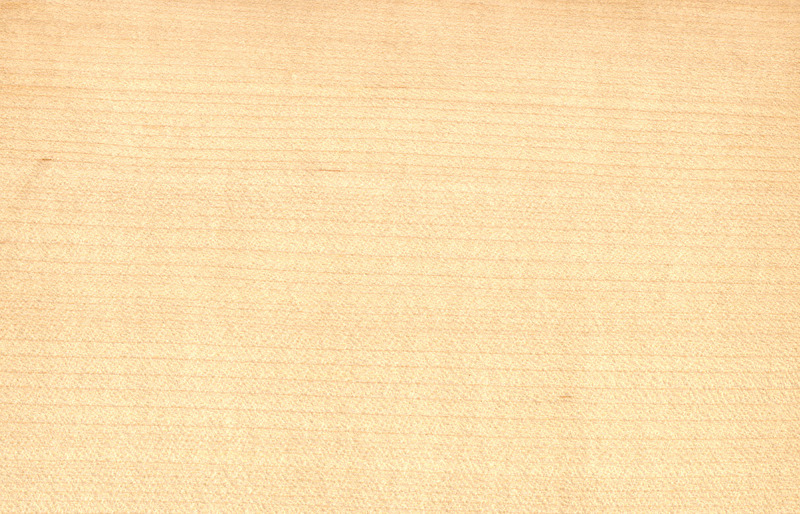 For this Sixth part we will be dimensioning the table in several views. Study the views in this download paying particular attention to the view names and their relationship to the names of layers and components. 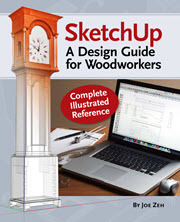 See you in Beginner’s SketchUp Tutorial, The Video Version–Part 7. 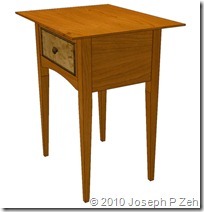 A completed SketchUp model of the Bedside Table can be downloaded from my website srww.com. Select the Free Plans menu button, scroll down to Tables and locate Bedside Table from the list. It is available both in native SketchUp file format (.skp) and as a PDF file (.pdf). Before you view the video take time to familiarize yourself with its design and dimensions. 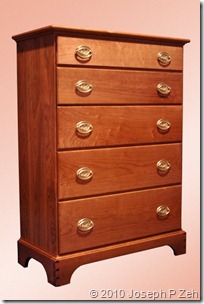 For this Fifth part we are especially interested in the Drawer Trim, and Drawer Pull. 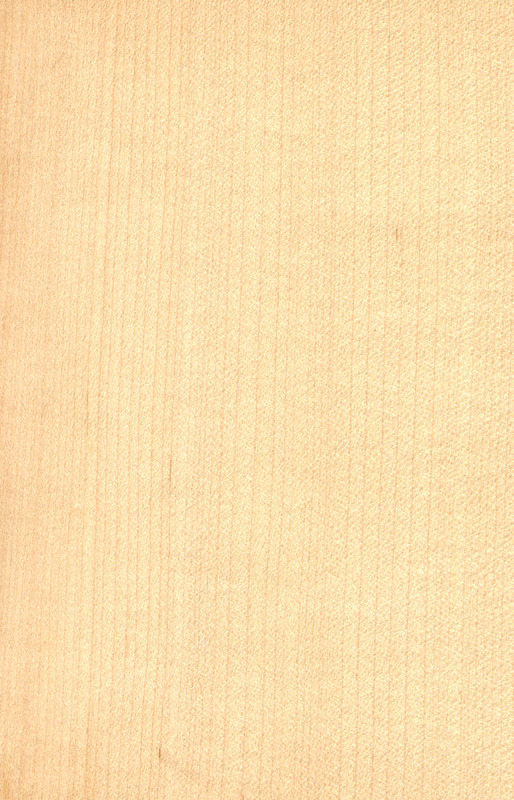 You may want to print out the Trim and Pull scene(s) for reference. See you in Beginner’s SketchUp Tutorial, The Video Version–Part 6. 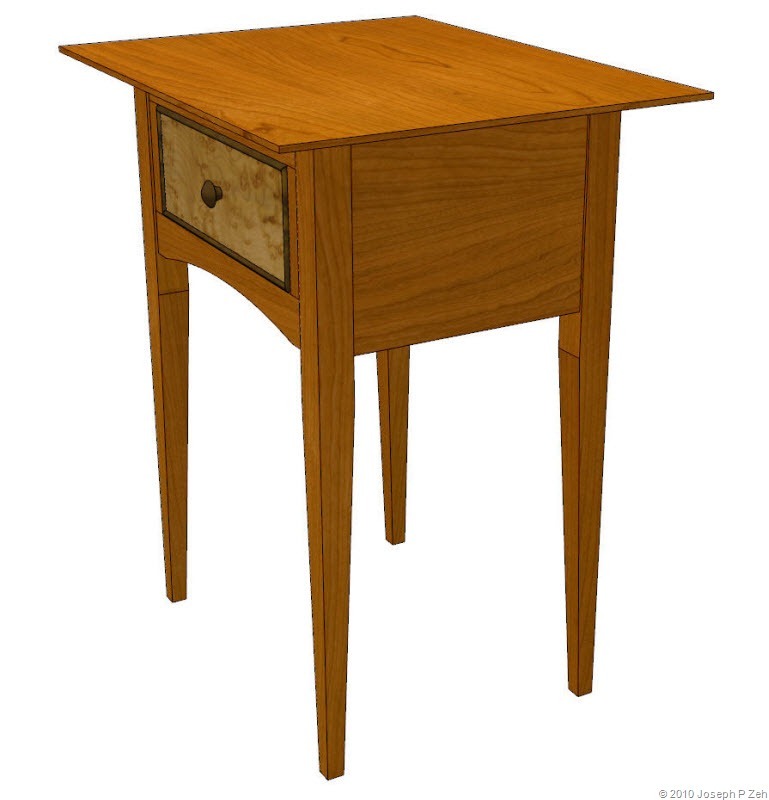 A completed SketchUp model of the Bedside Table can be downloaded from my website srww.com. Select the Free Plans menu button, scroll down to Tables and locate Bedside Table from the list. It is available both in native SketchUp file format (.skp) and as a PDF file (.pdf). Before you view the video take time to familiarize yourself with its design and dimensions. For this fourth part we are especially interested in the Lower Drawer Rail, Drawer Sides, Drawer Back, Drawer Front and Drawer Bottom. You may want to print out the Stiles, Sliders, Slider Arrangement, Drawer Sides, Drawer Front, Drawer Back and all Drawer Bottom scene(s) for reference. 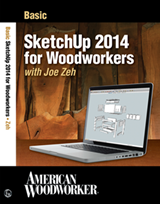 See you in Beginner’s SketchUp Tutorial, The Video Version–Part 5.